Running a dental practice is a challenge. It takes lots of effort to bring in the money that it takes to pay all of your bills and staff. Affording all of this expense and keeping your dental practice thriving takes computers and programs that run correctly all of the time. Your dental office needs IT Support in West Palm Beach that is affordable. Digital Dental Systems is located in West Palm Beach, but serves all of South Florida. Our professional Dental IT Support Services are affordable and reliable. We even have 24/7 emergency services. 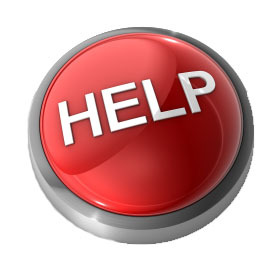 Do you need IT Support for your West Palm Beach or South Florida dental practice? Our Dental Network Support staff of IT professionals are on standby without charging huge fees to do it. Don’t pay hundreds of dollars to have a mildly educated IT wannabee from a retail chain come by and screw up your systems and lose your valuable data. When you need IT Support of any kind, we are here for you. We remove viruses, install programs, install hardware, configure networks and much more. Digital Dental Systems is here to help you and your network. Amazing Computer Knowledge – We know computers inside and out along with tons of software. If you have a question, we can answer it or find the answer for you. Increased Computer Related Productivity – With smoothly running systems and minimal downtime, if ever, your employees are free to get their work done quickly and make you more money! More money available for you – Since you aren’t paying for full time Dental IT Support staff, you save money and can use it on other business needs to increase your profits. Our high quality help desk services in West Palm Beach are ready for you. Let us fix your computer and network issues! IT Professionals are ready to assist you at any time to support your computer and network. No surprises here! Get a steady bill for Premium IT Management and Network Support. Fully scalable solutions for a flat-rate fee. Management of your cloud network connectivity, functions and data. When computer or hard drives go down, we get your data to you without any losses.